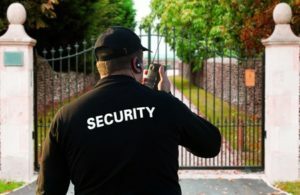 Public Cases of Potentially Negligent Security - BJE Law, P.A. Back in November 2015, newspaper headlines were bursting with the news of a shooting at a Planned Parenthood facility in Colorado. A gunman went on a shooting rampage, resulting in three deaths and nine injuries. At the time it was considered a strategic shooting by a man with pro-life sentiments, but a deeper look into the shooter’s background suggested that he was simply a mentally unstable man with no intention of purposefully targeting the Planned Parenthood clinic that fateful day. This is hardly the first time that Planned Parenthood has experienced attacks. Since 1977, eight clinic workers have lost their lives and about 7,000 incidents involving arson, vandalism, trespassing, and death threats have taken place. But the question is, will a judge rule that Planned Parenthood should have done more for the people in and near its facility to avoid the deaths that occurred last November?